(APN) ATLANTA — On March 08, 2019, the U.S. House of Representatives passed H.R. 1, the For The People Act of 2019, a proposed law that sets forth a comprehensive vision for improving democracy in the U.S.
HR 1 addresses myriad issues, including voting rights, campaign finance and spending reform, and election integrity and security. The final vote results in the U.S. House were 234 yeas, all Democrats; and 193 nays, all Republicans. Now the bill is in the Republican-dominated U.S. Senate, where it has about as much chance of passing as a snowball in hell. U.S. Senate Majority Leader Mitch McConnell (R-KY) promised that it would not get a vote in the Senate. The bill is a transformative set of reforms to strengthen democracy, return political power to the people by making it easier to vote, ending the dominance of big money in our politics and much more. H.R. 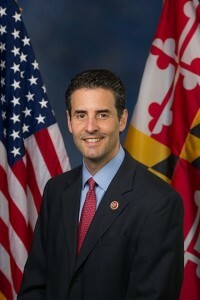 1 was sponsored by U.S. Rep. John Sarbanes (D-MD) and its 236 co-sponsors included five Democrats from Georgia: U.S. Reps. Sanford Bishop (D-GA), Hank Johnson (D-GA), John Lewis (D-GA), David Scott (D-GA), and Lucy McBath. HR 1 would impose new requirements on U.S. states to offer early voting; offer online and same-day voter registration; bar states from disenfranchising felons who have completed their sentences; and restore the Voting Rights Act following the 2013 U.S. Supreme Court ruling that struck Section 5. HR 1 also limits states from removing people from the voter rolls based on Interstate Cross Checks; prohibits deceptive practices; prohibits voter intimidation; prohibits voter purges based on failure to vote in past years; prohibits voter purges based on non-forwardable mail; and ends partisan gerrymandering in federal elections. Further, it requires states to use voter-verified paper ballots; makes Election Day a holiday for federal employees; and requires states to establish independent, nonpartisan redistricting commissions. And another thing: It sets forth numerous provisions related to election security, including cybersecurity. If enacted, many of these federal provisions would supersede many of the antidemocratic practices that have been happening in Georgia, including related to voter purges. HR 1 sets forth Congressional findings that the U.S. Supreme Court ruling in Citizens United is detrimental to democracy and that the U.S. Constitution should be amended. In 2014, the City of Atlanta also passed a resolution by Councilman Michael Julian Bond (Post 1 at large), and drafted by APN’s News Editor, calling for a Constitutional Amendment clarifying the right of U.S. Congress to regulate campaign finance. Big money–including special interests like developers and airport concessionaires–continues to pervert our local elections in Atlanta and create competitive disadvantages for candidates who represent the interests of low-income people. HR 1 establishes a publicly financed system for elections. This system would provide a six to one match on the first two hundred dollar contribution for Congressional Elections. There are public financing mechanisms already available at the state and local levels. For example, Maine and Arizona have public financing systems for state legislative seats. Cities like Portland, Oregon; and Seattle, Washington, meanwhile, have moved forward with Democracy Voucher programs – local campaign finance mechanisms for local municipal elections. HR 1 bans foreign money, prevents foreign nationals from purchasing political ads, requires disclosure of dark money, requires Facebook and Twitter to disclose the source of money for political ads, targets shell companies, and prohibits coordination between candidates and Super PACs. HR 1 also expands campaign expenditures to include child care, elder service care, and professional development to make it easier for candidates of modest means to run for office. As part of its ethics reform package requires a code of ethics for U.S. Supreme Court justices; creates Foreign Agents Registration Act (FARA); implements stricter lobby registration requirements; and establishes conflict-of-interest and ethics provisions for federal employees and the White House. In addition, it requires the President and Vice President to release their tax returns and the tax returns of companies they own; stops members of Congress from using taxpayer money to settle sexual harassment or discrimination cases; prohibits Congressional members from using their official position to further their financial interests; and much more.